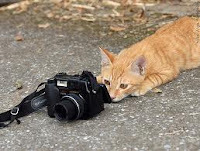 This Kat, who has a keen interest in photography, also admits to purchasing the occasional souvenir of London for the Australian crew. She was therefore keen to read about the proceedings in Temple Island Collections Ltd v New English Teas  EWPCC 1 (12 January 2012) before Judge Birss QC in the Patents County Court for England and Wales (sometimes referred to on this blog as the Merpel Court) which combined both of these interests [Merpel, a Londoner by birth, finds it difficult to use words 'souvenir of London' without thinking instantly of the classic Procol Harum song of the same name -- lyrics here, YouTube here -- something that no-one would wish to purchase, especially for the folk back home!]. 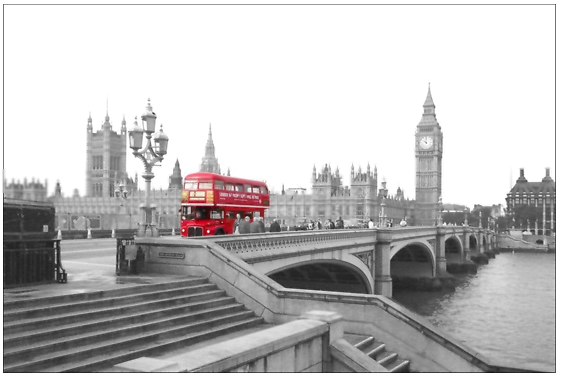 Temple Island Collections (TIC), which produces souvenirs of London, claimed to be the owner of copyright which subsisted in a black and white photograph of a red bus travelling across Westminster Bridge (left). Judge Birss described (at ) the image as 'largely in black and white, with the Houses of Parliament and the bridge shown in grey. The sky is white, with no clouds or anything else visible. A bright red London Routemaster bus stands out on the bridge' (Image 1). Image 1 was created by Mr Fielder after manipulating a photo he took with Photoshop software and was first published in February 2006. New English Teas (NET), as its name suggests, produces tea. 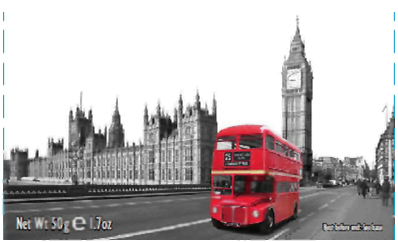 It wished to use an image which Judge Birss described (at ) as containing 'these iconic London landmarks and with the same general form: grey scale Houses of Parliament and a red bus on the bridge' (Image 2). Image 2 (right) was created by Mr Houghton and Sphere Design after the combination and manipulation of four photographs taken by Mr Hougton. Significantly, this was not the first time that the parties had been in dispute over NET's alleged infringement of Image 1. Prior to the proceedings in question, TIC had alleged that NET had infringed copyright in Image 1 by the use of the so called 'First Allegedly Infringing Work'. These proceedings settled settled on the basis that NET agreed to withdraw the 'First Allegedly Infringing Work'. In the present proceedings, TIC claimed (at ) that Image 2 infringed its copyright in Image 1 by reproducing a substantial part of Image 1. NET responded (at ) that TIC 'cannot use use copyright law in effect to give them a monopoly in a black and white image of the Houses of Parliament with a red bus in it'. Instead, NET contended (at ) that 'the key consideration is the assessment of the relevant skill and labour which went into the expression of the copyright work and whether that skill and labour has been reproduced in the alleged infringement'. (iii) Deriving from being in the right place at the right time'. He held (at ) that there was 'clearly room for originality' in aspect (i). He further held (at ) that the 'composition of a photography is capable of being a source of originality' as in aspects (ii) and (iii). '(i) The Houses of Parliament, Big Ben and so on are iconic images of London. So too is the Routemaster bus. Judge Birss found (at ) that Image 1 was original. He further explained that it is the result of Mr Fielder's 'own intellectual creation both in terms of his choices relating to the basic photograph itself: the precise motif, angle of shot, light and shade, illumination, and exposure and also in terms of his work after the photograph was taken to manipulate the image to satisfy his own visual aesthetic sense. The fact that it is a picture combining some iconic symbols of London does not mean the work is not an original work in which copyright subsists'. frontage of the Houses of Parliament and the arches of Westminster Bridge. The bus is on the central left side near a lamppost. It is framed by building behind it. People can be seen on the bridge and some are in front of the bus, but they are not prominent. Portcullis House is visible as well as the river itself. (ii) The visual contrasts: one between the bright red bus and the monochrome background, and the other between the blank white sky and the rest of the photograph. Having established that Image 1 was capable of copyright infringement, under sections 16 and 17 of the Copyright Designs and Patents Act, that copyright is infringed by reproducing the whole or a substantial part of a work in a material form. 'Substantial part' in this instance is a matter of quality not quantity. According to the House of Lords decision in Designer Guild Ltd v Russell Williams (Textiles) Ltd  1 WLR 2416, Judge Birss had to decide: (a) whether there had been copying; (b) if yes to (a), which features had been copied; and (c) if yes to (a), whether the copying in (b) represents a substantial part of the original work. Had Image 1 been copied? 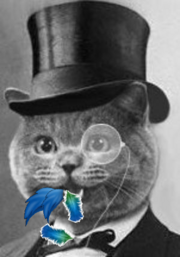 Judge Birss found (at ) that Image 1 had been copied by Mr Houghton. Given the 'obvious similarities' between the two images, for Judge Birss, the onus fell to NET to argue that there had not been any copying. NET was unable to do so for two reasons. First, Mr Houghton had seen Image 1 (as demonstated by the earlier proceedings). Second, Mr Houghton did not suggest that he had seen any of the other similar works referred to in the evidence before seeing Mr Fielder's Image 1. Judge Birss emphasised (at ) that any differences between Image 1 and Image 2 do not 'negative copying ... [but had] a bearing on whether a substantial part had been taken'. On the issue of the other similar works, Judge Birss went as far as to infer (at ) that Mr Houghton sought this material out after he had decided to produce an image similar to Image 1 and accordingly rejected the submission that the other similar works acted as a 'relevant independant source'. What features had been copied? 'i) Elements of the composition of the claimant's work which have not been taken are the prominent arches of the bridge and the river, the steps in the foreground and the prominent lamppost. The angle to the vertical is somewhat different since the road can be seen with the bus sitting on it in the defendants' image whereas from the angle of the claimant's picture a balustrade obscures the road. 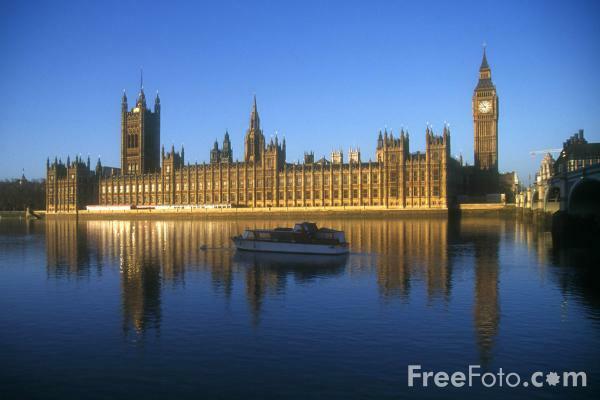 The angle presented by the facade of the Houses of Parliament is different: in the defendants' image the perspective of the facade falls away more sharply whereas in the claimant's image there is much less perspective. 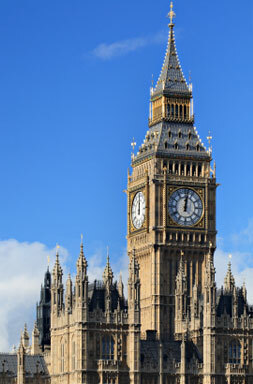 The bus is on the central right side of the image, touching Big Ben, it is not left of centre as in the claimant's picture. The defendants' bus is bigger and presents a slightly different angle to the viewer. There are no people in front of the defendants' bus. ii) Although the images undoubtedly differ in their composition, elements of the overall composition of the claimant's image have been reproduced. The bus is a Routemaster, driving from right to left with Big Ben on the right of the bus. The riverside facade of the Houses of Parliament is part of the image. 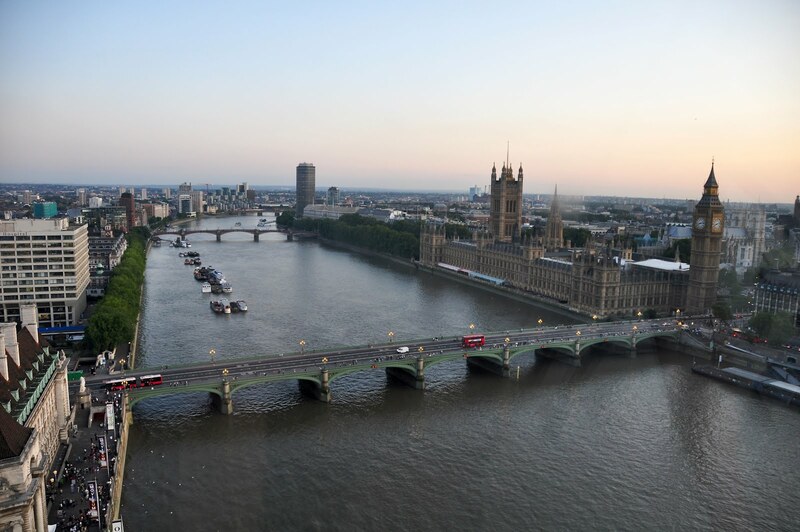 The bus is on Westminster Bridge (albeit in a different place) in both images. This is obvious in the claimant's image and can be seen from the presence of the balustrade on the left in the defendants' image. There are some people visible but they are small (and in different places). There is no other obvious traffic. The edge of Portcullis house is visible on the right. Running from top to bottom, there is a substantial amount of sky in the picture (albeit more in the claimant's) and the top of the bus is roughly the same height as the facade of the Houses of Parliament'. 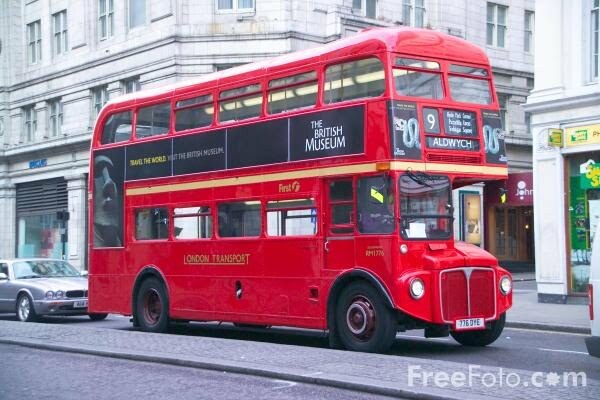 'i) The element of bright red bus against a black and white background has been reproduced. ii) The element of the blank white sky, which creates a strong sky line, has been reproduced. A small point arose that the image produced by Sphere actually has no sky at all, so that it takes on the background of the box it is placed on. Nothing turns on that since in use it is placed on a white (or very pale grey) tin'. Were these copied features a substantial part of Image 1? This was 'not an easy question', but Judge Birss found (at ) that Image 2 did reproduce a substantial part of Image 1 because they still include the key combination of 'visual contrast features with the basic composition of the scene itself'. Two factors influenced Judge Birss in arriving at this decision: the nature of Mr Fielder's image (at )(its appearance being the product of deliberate choices and deliberate manipulations) and the collection of other similar works relied upon by NET (at )(it counting against NET because 'the collection served to emphasise how different obstensibly independant expressions of the same idea actually look'). NET's Image 2 infringed TIC's image 1. Judgment (at ) was entered for TIC. On the 1709 Blog, a certain Blogmeister commented that, if this decision is correct, then 'advice which I have given law students since I first taught copyright in the 1970s is no longer reliable, that the photographer who recreates the effect of another's photograph of a public scene or monument is now a copyright infringer, and that there may now be a notion of copyright in an idea, a lay-out or a scheme for such a photograph'. This Kat admits that she was surprised by the decision. Although Judge Birss does concede it was a difficult to decide on the issue of 'substantial part', with respect his judgment does now seem to blur a fundamental aspect of copyright law, namely the idea/expression dichotomy. The IPKat asks: was Judge Birss correct? Thanks Cat for a much more thorough analysis of this case than my notes contained in the 1709 post to which you refer. And I am glad that you also express some surprise at this decision. It will be interesting to see if the defendants appeal and on what grounds. 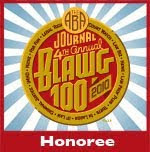 Also at Art and Artifice. The claimant's work was not a photograph, it was a digitally created graphic work (note that the definition of 'graphic work' in section 4(2) is open-ended). As such it was entitled to a broader scope of protection than a mere photograph. Thus Judge Birss' decision is correct because the defendant took a substantial part of the expression of the graphic work, and not just the idea. If the work had been a mere photograph, the result would have been different. Anonymous @1:40. I think you are opening a Pandora's box by asserting that the cliamant's image was not a photograph but a graphic work, and this therefore entitles the court to broaden the scope of protection afforded to it. Firstly virtually all digital photographs are manipulated in some some way just as their predecessors produced using chemicals often were. If the courts have to decide where to draw that particular line, then they are inviting a lot of extra work. In any case HHJ Birss found at  that image 1 (the claimant's) was a photograph but he acknowledged that even if it was susequently found to be a collage, nothing turned on that. Which brings me to you second point. S 4(2) may treat the definition of graphic works and photographs differently - which makes sense since a painting or a drawing created in a different manner to a photograph - but for the purposes of Chapter 2 they are both artistic works and thus treated the same (s 17(2)) in terms of the rights acccorded to the author. Furthermore the way in which infringement is determined (s 16(3)(a) also makes no distinction between the sub sets of artistic works. So in view of this reasoning, I think your final sentence is wrong. Before colour photography became affordable, you could buy bottles of coloured dyes with which you could colour black and white prints: my parents' wedding photos taken in 1943 were coloured in this way, but either colour was selectively applied where it mattered [quite possible given wartime shortages], or else they have selectively faded. The same principle is used in analogue colour TV, where the colour image consists of a low resolution colour image superposed on a high resolution black and white image. I still have some old photo dye, so the consequence of the judgement seems to be that if I were to take a corresponding photo of a bus on Westminster Bridge and make a black and white print, I would not be infringing. If I chose to colour the bus in first, I would be guilty of infringement, but if I then coloured in the rest of the photo, the final photo would not be an infringing work. However I would have transiently infringed copyright, and to avoid being an infringer I would have to make sure I coloured in something other than the bus as a first step. Another point that might not be appreciated by those who are unfamiliar with traditional black & while photography: the enhanced blue and UV sensitivity of silver-based B/W film means that a blank sky is what the photographer would expect get: in order to capture any cloud detail at all the photographer would have to exercise his skill and knowledge by using a yellow or yellow/green filter. My hypothetical B/W photo would therefore also yield a featureless white sky whether or not any clouds were present as I have no filters for my remaining conventional camera. Would be interested in readers' views on this. It troubles me greatly as it seems to be a regrettable merging of copyright with passing-off. There was no need to rely on copyright in that instance - passing off and its equivalent in trade practices law should have been enough; and if the plaintiff didn't plead that, more fool them. "You look nice ... enough to copy"
Cutting the red tape: can we do better? Is overlooking a fact an error of principle? Nuckin Futs: what the ...? Yet another copyright struggle about "Mein Kampf"
Can IP Counsel Have a Business Strategy? Katoomba kataclysm, or hands off our Wandjina! Yippee, it's CLIPEE -- but time's running out!